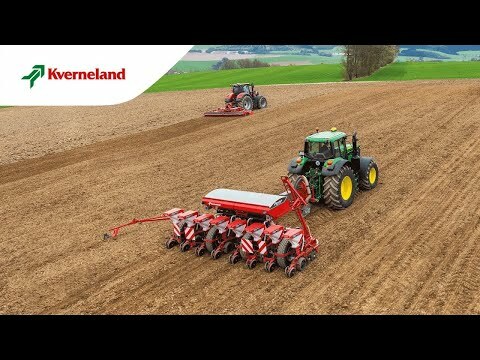 The Optima V is the perfect seed drill for farmers and contractors who need a machine with various row widths. With the Optima V, the row width is ready in next to no time which ensures a speedy response on changing requirements. Your benefit: a high level of flexibility and less time waste. In combination with iXtra LiFe the application of liquid fertiliser during seeding is possible, see iXtra LiFe. This new frame concept combines the proven reliability of the Optima sowing unit with an even stronger and more versatile frame. With the fertilizer hopper directly on top of the headstock, the centre of gravity has been put to the front reducing lifting requirements.